KLIM Adventure Gloves: GORE-TEX® gloves with Gore Grip technology for a superior grip and perfect flexibility. The innovative Gore Grip technology is based on a special layer structure: the normally loose layers have been fused together, ensuring they cannot shift. This way, the KLIM Adventure Glove with Gore Grip always provides a secure grip and outstanding flexibility, which in turn enables the best possible handling of your motorcycle. GUARANTEED TO KEEP YOU DRY®: reliable protection against wind and rain! Just like every other GORE-TEX product by KLIM, the Adventure Gloves are permanently waterproof, windproof and breathable – and that’s a guarantee! All these factors make the KLIM Adventure Glove the ideal outdoor partner for autumnal days. The Adventure Glove is available in a “long” (RRP: 199,00 Euro) and a “short” ( RRP 179,00 Euro) version, both in black and in a brown and black colour combination. Layering system for your hands! For riders who don’t want to miss their favourite gloves in colder temperatures, KLIM is offering so-called Glove Liners. These liners are available in various thicknesses and styles. The KLIM® Glove Liner 1.0 features a unique mix of special fabrics to wick away moisture from the skin and to safeguard against heat loss. 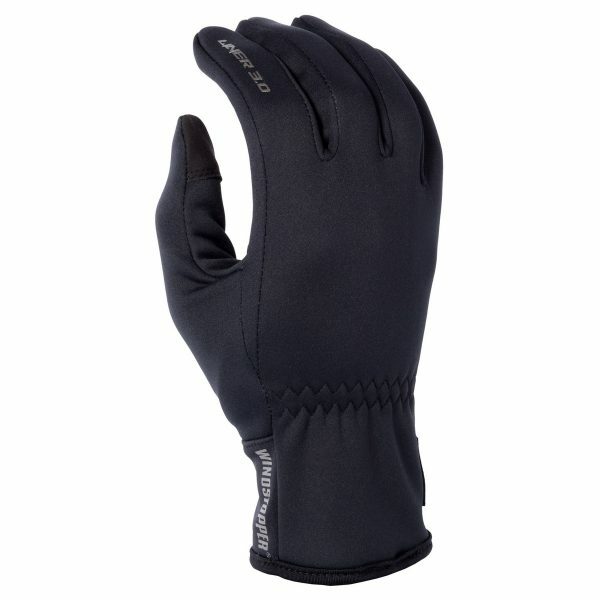 Includes e-touch fingertip function, allowing you to use a touch screen while wearing the gloves. RRP: 24,00 Euro. The KLIM® Glove Liner 2.0 features Polartec® Power Stretch® material – with its loft properties, it insulates and wicks away moisture via the 4-way stretch fabric. RRP: 34,00 Euro. 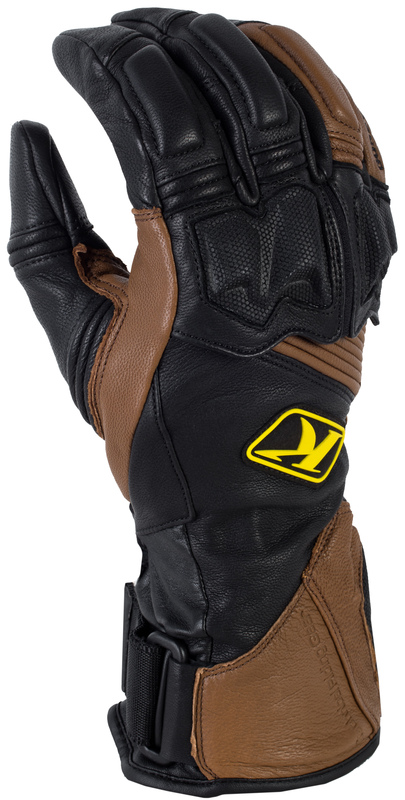 The KLIM® Glove Liner 3.0 is a glove with total WINDSTOPPER® protection, providing maximum warmth. Features include windproof material, silicone grip and e-touch pads on the fingertips. The ideal replacement for old fleece liners. RRP: 44,00 Euro.